The survivors of 29-year-old Kathleen Gilbert sued David Turow and Women's Aid Clinic when she bled to death after her safe and legal abortion. The family accused Turow of performing an incomplete abortion, lacerating Kathleen's uterus, and failing to detect her injuries. She was sent home and continued to bleed and pass clots for a month before her death on May 2, 1985. Kathleen's death certificate attributes the death to hemorrhage from a perforated uterus. Outright lying. They will trot out the long-disproven claim that 5,000 to 10,000 women were dying every year from abortion before legalization. Lying by omission. They will use numbers that are accurate, but will totally remove them from context in order to draw a conclusion that is demonstrably false. Let's start with the outright lie: that 5,000 to 10,000 were dying annually in the US from abortions prior to criminalization. Where did the numbers come from? Here's an interesting exercise: When you see the 5,000 to 10,000 deaths claim, check and see who they cite (if they even bother to cite a source at all). Odds are it will be Lawrence "Larry" Lader or some other late 1960's early 1970's abortion guru. This gives the impression that Lader (or whoever) looked at whatever the then-current situation was and wrote up his findings. Nothing could be further from the truth. The original source was a book -- Abortion, Spontaneous and Induced -- published in 1936 by Dr. Frederick Taussig, a leading proponent of legalization of abortion. 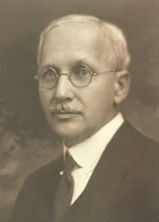 Taussig calculated an urban abortion rate based on records of a New York City birth control clinic, and a rural abortion rate based on some numbers given to him by some doctors in Iowa. He took a guess at a mortality rate, multiplied by his strangely generated estimate of how many criminal abortions were taking place, and presto! A myth is born! At a conference* in 1942, Taussig himself apologized for using "the wildest estimates" to generate a bogus number. Although it took Taussig six years to reject his own faulty calculations, at least he did admit that he'd been wrong. Other abortion enthusiasts lacked Taussig's compunctions. Bernard Nathanson, co-founder of NARAL,** admitted that he and his associates knew that the claims of 5,000 to 10,000 criminal abortion deaths were false. They bandied them about anyway, Nathanson confessed, because they were useful. This, too, is old news -- Nathanson came clean in 1979 when he published Aborting America. The abortion lobby has had nearly three quarters of a century to drop the numbers after Taussig himself admitted that they were wrong. Abortion supporters have had over thirty years since they were outed in public for lying. Still, as Nathanson said, the number is useful. It's scary. This is why friends of Big Abortion, such as Barbara Boxer and NARAL ProChoice Oregon, still continue to lie. If you have to lie and scare people into joining your cause, it seems like it's time for a little quiet reflection. Now for the lying by omission, which typically involves taking fairly reliable abortion mortality numbers from before and after legalization then crediting legalization for the drop. No less prestigious organization than the Alan Guttmacher Institute uses this statistical legerdemain: "As the availability of legally induced abortion increased, mortality due to abortion dropped sharply: The number of abortion-related deaths per million live births fell from nearly 40 in 1970 to eight in 1976." 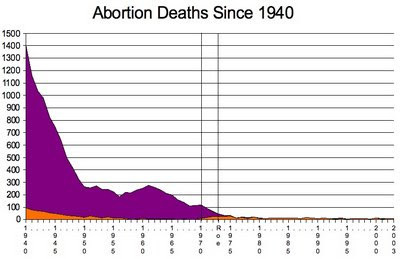 Are abortion advocates suggesting that somehow the loosening of abortion laws in some states in 1968 and 1969, the open gates to abortion-on-demand in New York in 1970, and Roe vs. Wade in 1973 somehow retroactively caused the fall in abortion mortality during the 1940s? 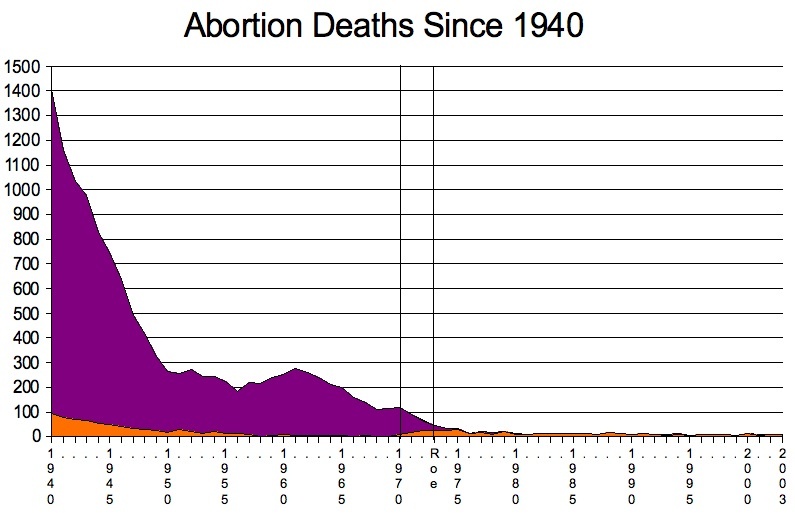 What caused abortion mortality to fall precipitously wasn't legalization. Legalization didn't even make a blip in the trends, likely because for every non-physician whose business fell away, a physician abortionist became sloppy once the risk of a prison sentence for botching an abortion was gone. I know of three erstwhile criminal abortionists -- Jesse Ketchum, Milan Vuitch, and Benjamin Munson -- who kept their noses clean prior to legalization but each went on to practice appallingly sloppy abortions that killed two patients after legalization. Kathleen's death is merely representative of the kind of harm supposed safe, legal "providers" do in the name of "access."